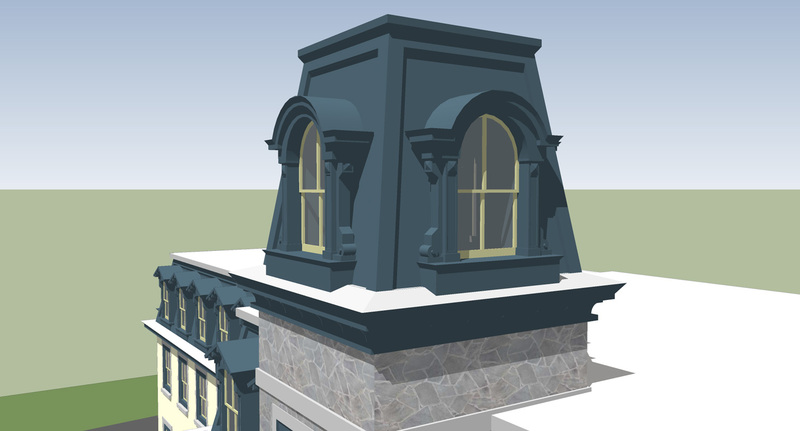 Sometimes the most effective way to depict historic buildings is to present them from various angles at which they are rarely seen. 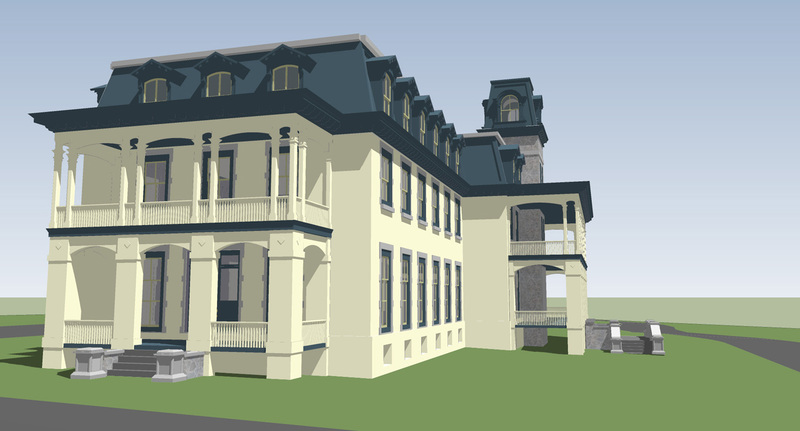 Creating perspective 2D renderings of a building can be time consuming; building a structure in a 3D environment and altering the viewing angle to create compositions is more efficient and accurate. 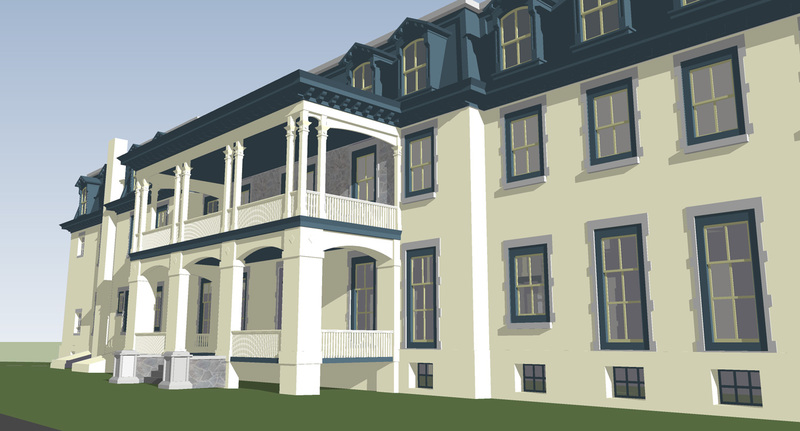 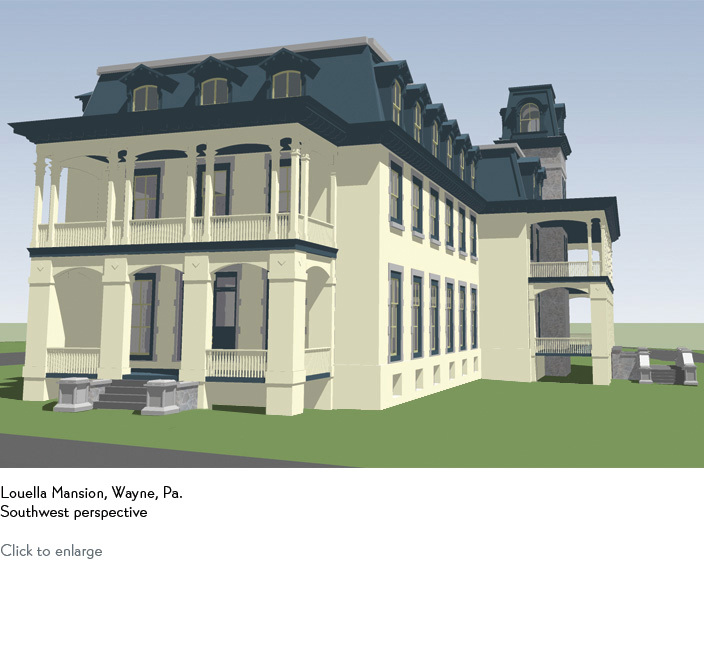 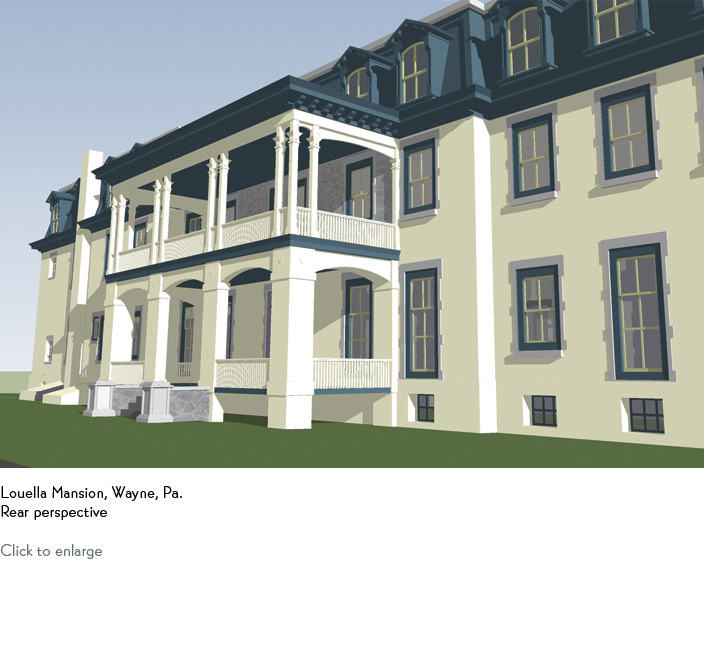 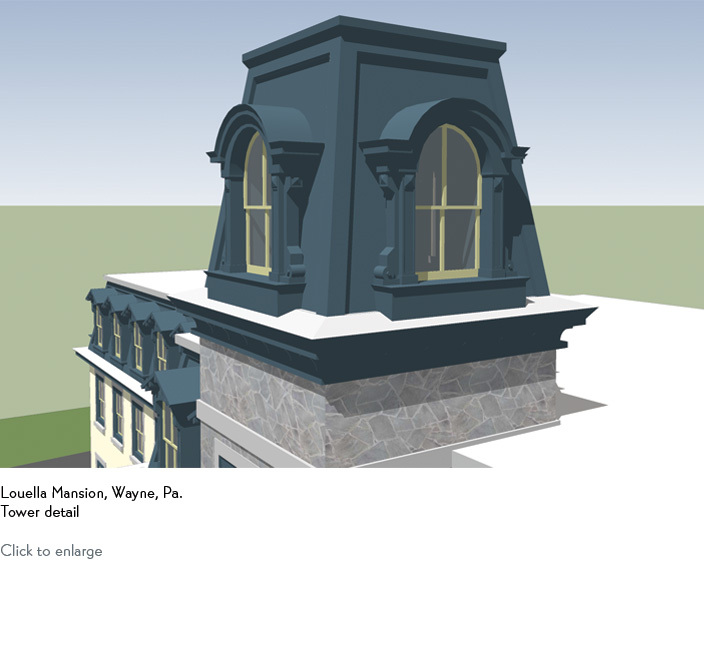 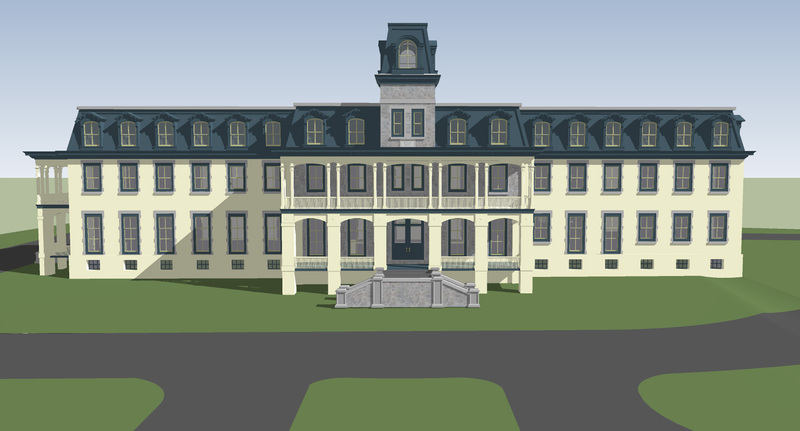 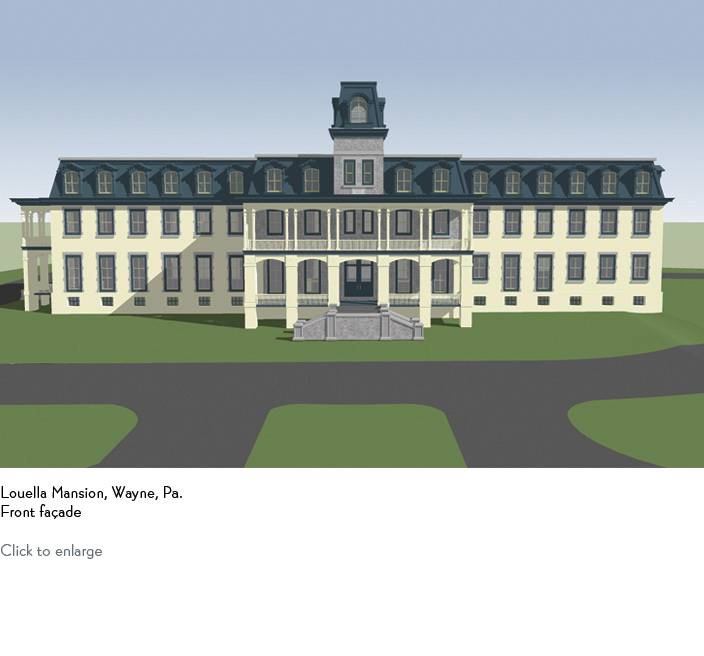 PD&HS's 3D renderings were created in Google SketchUp.